Cricova is a Moldovan town, located north of Chișinău, the capital of the country. 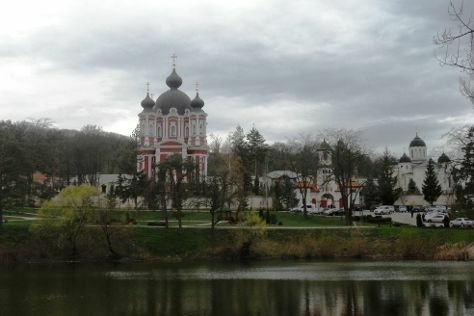 Do some cultural sightseeing at Manastirea Curchi and Orthodox Cathedral of the Transfiguration of the Saviour. Discover out-of-the-way places like Saharna Monastery and Trip to Moldova Day Tours. Explore the numerous day-trip ideas around Cricova: Milestii Mici (in Chisinau) and Hanul Lui Hanganu (in Rezina). The adventure continues: take in the architecture and atmosphere at The Metropolitan Cathedral “Nativity of the Lord”, awaken your taste buds at some of the top wineries in the area, tour the pleasant surroundings at Stefan cel Mare Park, and steep yourself in history at Stephen the Great Monument. To see maps, reviews, ratings, and tourist information, refer to the Cricova itinerary builder. Brisbane, Australia to Cricova is an approximately 34-hour flight. The time zone difference when traveling from Brisbane to Cricova is minus 8 hours. Expect a bit warmer weather when traveling from Brisbane in June: highs in Cricova hover around 30°C, while lows dip to 16°C. Finish your sightseeing early on the 6th (Tue) so you can travel back home.